Early 1980s. 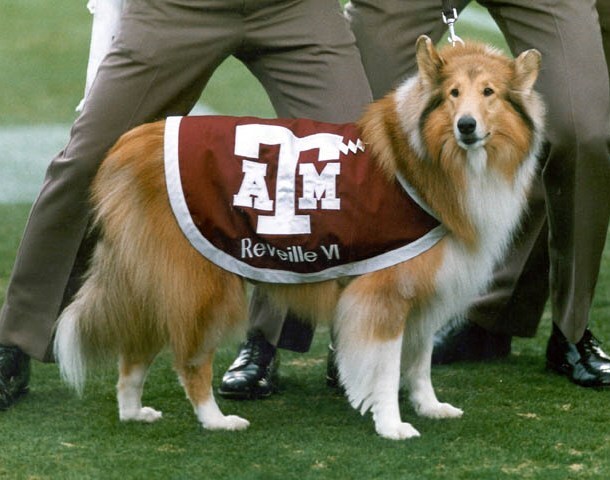 Texas A&M faculty members Peter McIntyre and Bob Webb were founding members of CDF. CDF, CDMS, CMS, Dark Energy Survey, LUX (Sanford Lab). We have also been a member of DZero and MINOS. We focus on activities at the interface of particle physics and cosmology, in particular, the search for dark matter, the Higgs and SUSY, as well as dark energy. WHAT SETS PARTICLE PHYSICS AT TEXAS A&M UNIVERSITY APART? Our emphasis is on the interface between astronomy, particle physics and cosmology. We enjoy strong interactions between our phenomenology and experimental groups, and we benefit from local machine, electronics and computing capabilities. 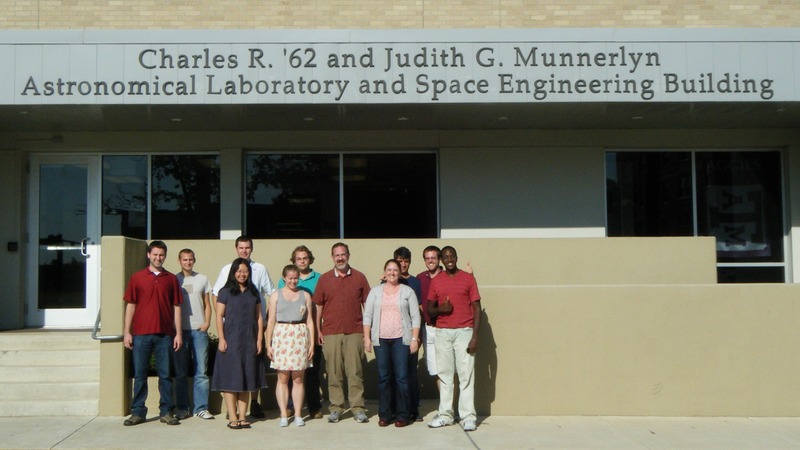 We enjoy the generous support from the Mitchell Institute for Fundamental Physics and Astronomy. 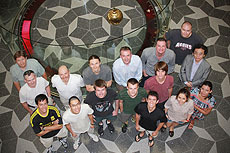 Members of Texas A&M University's particle physics group.